Growing up I always loved Barbie and I have no doubt Delainey will feel the same way. She already owns one little Barbie and will likely be adding a few more to her collection this winter thanks to "Santa". So it was kind of a given we were going to dress up as one of her favorite toys. 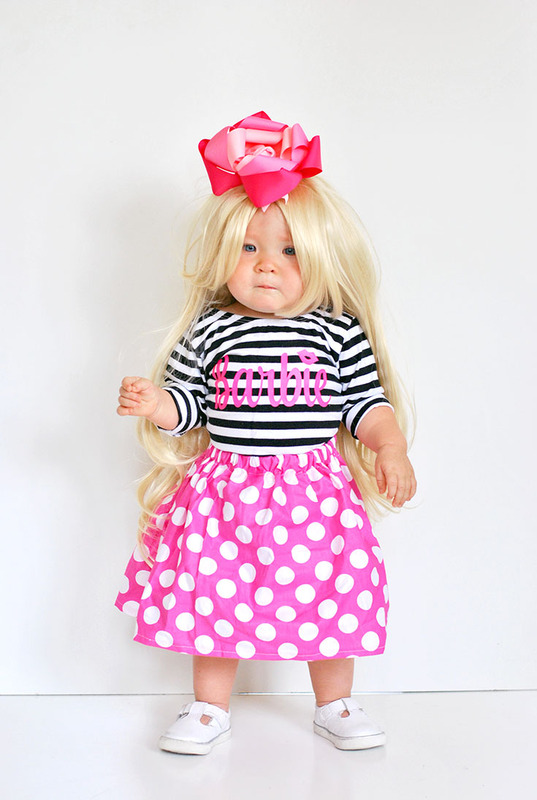 I mean seriously, does Barbie get any cuter than this? Wanna hear the best part? It's all small shop or stuff we had lying around, which makes this mama smile! And, if I'm being honest, I'm not sure if I'm gazing into the future or if she's dressed up for Halloween. 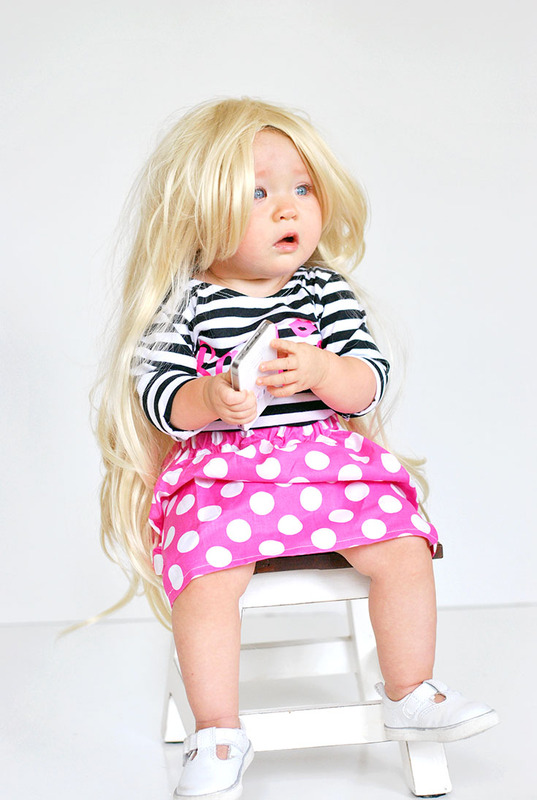 😂 I mean, with the blonde wig, the iPhone in her hand and a sassy look on her face... she's one going on 16. 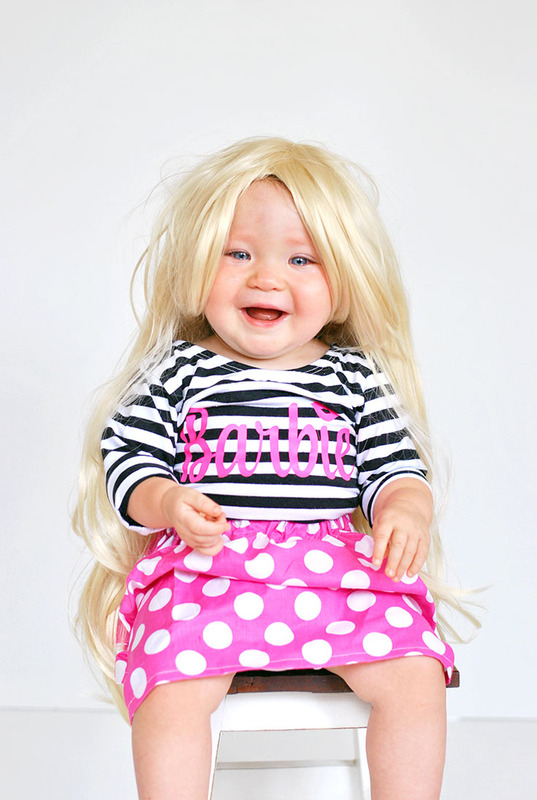 But oh my lanta, this costume is one for the baby book! She's definitely a Barbie Girl in a Barbie World! 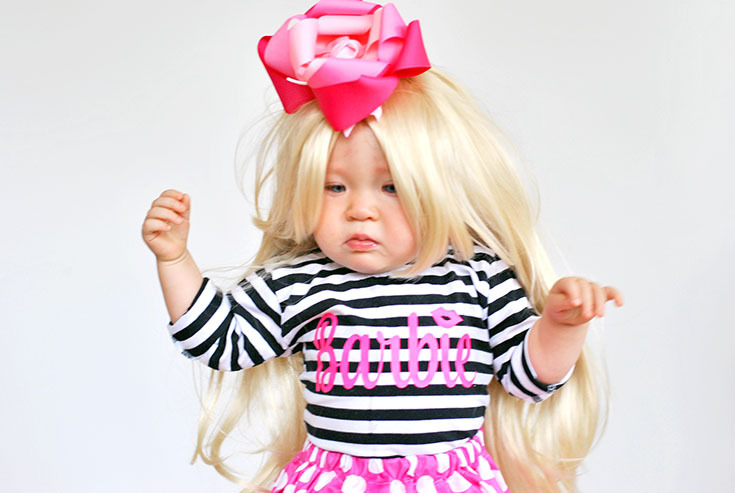 Want to dress your little one up as Barbie? 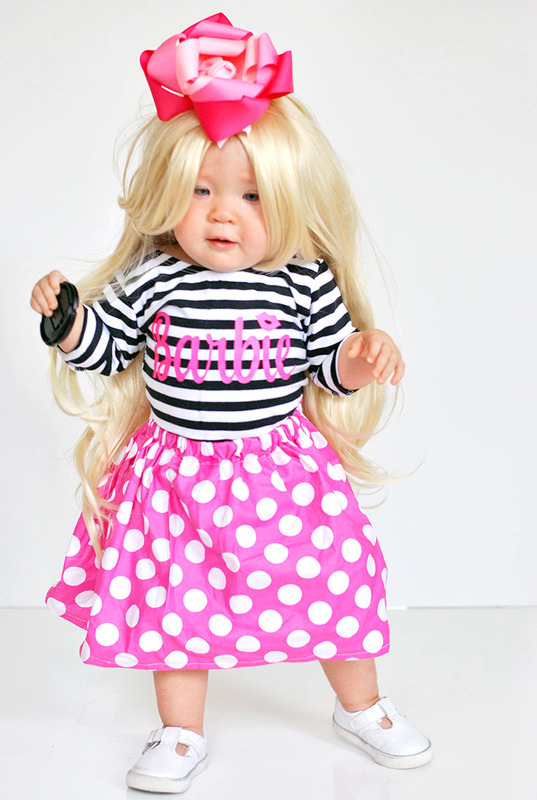 You can get a custom leo like this one from Chloe + Piper and a custom skirt like this one from The Mini Princess Designs! 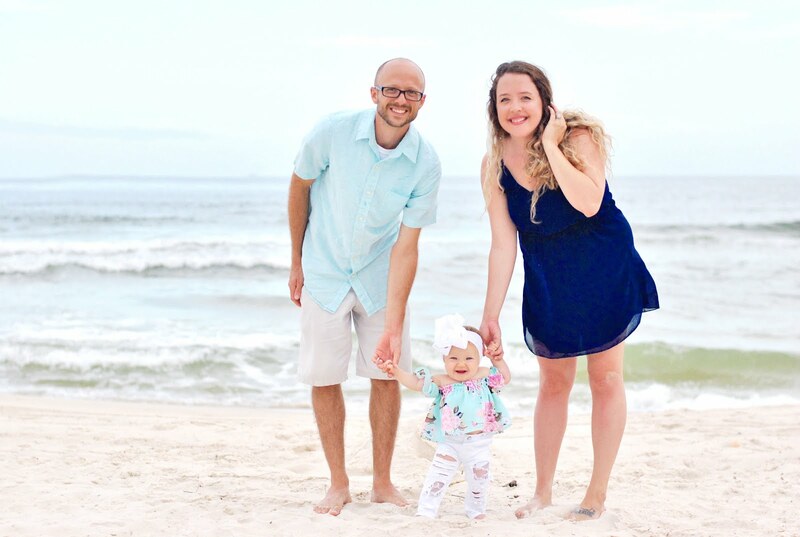 Oh... and that amazing bow she's wearing in some of the photos is from Darling Diva Boutique Bows and it's one of our absolute favorites! 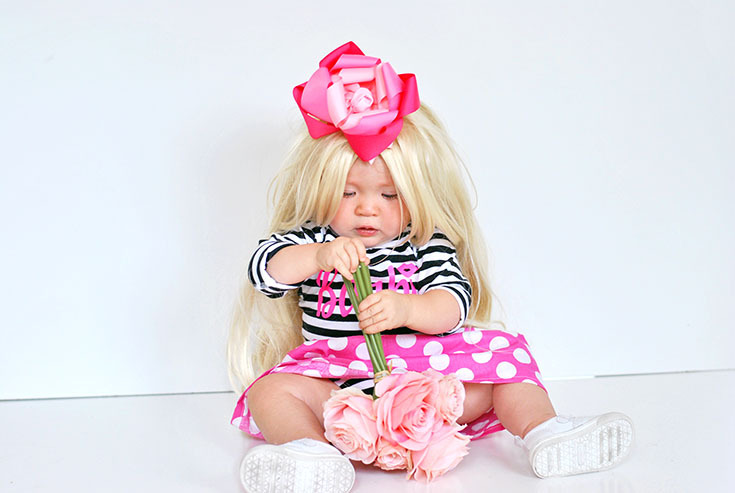 If you're going to get a wig, I suggest you check out Amazon... but I will say D really wasn't a fan of the wig and if we were going trick or treating I'd let her rock her own Barbie hair for comfort! With that said, which version of Barbie was your favorite? I thought about making her an 80's work out Barbie or maybe even a Barbie Bride.... but I thought this classic Black & White with Hot Pink look was too perfect to pass up!